Founded in 1999 by Peter Lurie, to provide full-service web-sites for small and medium size firms, not-for-profits and individuals, and specializing in offering client-specific, affordable and visually diverse solutions. lightworkerarts.com provides consulting on Web Strategy and Branding, Web Relaunches & Rebranding and Social Media optimization. All websites are ‘dynamic” using CMS (Content Management System) technology, allowing its end-users to save time and money by updating & maintaining their own sites. 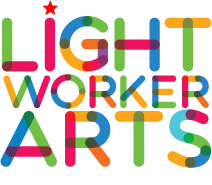 lightworkerarts.com uses WordPress as its prime CMS software. Based in London, we offer our experience internationally, either in person and through distance consulting via video/audio. Our associates are located in Germany, USA, South Africa, United Kingdom and beyond… and satisfied clients include those in Germany, Austria, United Kingdom, South Africa, Australia and the United States. We also offer a full range of web-related print and design services.